One of the best ways to put together a solid fantasy lineup is through matchup analysis. Weak opposition is the easiest route to strong statistics. Of course the opposite is true as well. Facing a stout defense will usually put a damper on the offensive results. These are the players at each position with the best and worst matchups. Last year Green Bay allowed almost 280 passing yards per game to opponents. Seattle has an unsettled backfield but projects to be better in the passing game this season. This looks like a good time to deploy Wilson with good results. The only caveat is that Green Bay allowed 50 less passing yards per game at home than on the road. Rivers should be good in 2017, but he will start slow in Denver. This projects as a good opportunity for Melvin Gordon to start hot as written here, but Rivers is another story. The Broncos were impossible to throw against in 2016. They ranked first in the league, allowing just over 185 passing yards per game. 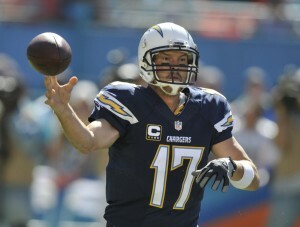 Last season Rivers totaled 12 and 15 fantasy points in 2 matchups with the Broncos. He threw for 3 touchdowns and 3 picks combined in those two games. Look elsewhere at quarterback in week 1. This matchup is based on opposing rushing yards per game. For that reason it is more geared toward Stewart as McCaffrey is heavily pass oriented. The 49ers were AWFUL against the run last season and should not be much better in 2017. They were actually worse at home than on the road, so this should be a cakewalk for the Panthers backs. Opposing backs averaged 171.8 rush yards per game at San Francisco last season. Not much matchup analysis needed to see that Stewart makes for a nice sleeper pick in the opener. Things are not going to start out well for the Giants run game. Perkins looks like a disaster at running back to begin with. On top of that, the G-Men face the top run defense from last season in week 1. The Cowboys allowed just 85 rush yards per game to opponents last season. The Giants receiving corps should still be a fairly safe play but steer way clear of Perkins. Once again we come to the Packers' miserable pass defense. Baldwin should have little trouble in this game. He will likely be matched up against Davon House as the Seahawks face the Packers. Some advanced matchup analysis tells us that last season House allowed an opposing passer rating of 144.9. Russell Wilson is good enough to take advantage of that type of subpar play. It is a toss up which member of the Denver secondary is more of a nightmare to face. There is no good matchup here for the Chargers' passing game. Fade Keenan Allen for sure as the Broncos are sure to key on him. The Cowboys may be great versus the run, but they cannot stop tight ends. Engram is a rookie and that is generally bad news for tight ends. He might be eased into the pros with a cake matchup, though. I would not go so far as to say that Engram should be started, but statistically his matchup is the easiest. 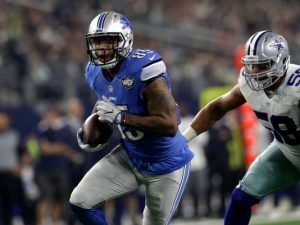 There is no reason to start Ebron in week 1...or maybe ever. There is no guarantee that Ebron plays in this one (or any game given his history). If he does make it on the field, he is rewarded with a terrible matchup, however. The Cardinals give up nothing to opposing tight ends and matchup analysis says that this should be no exception. Whoever suits up at tight end for the Lions should be avoided like watching the Jets/Bills game. This one is interesting, because statistically the Rams were the worst scoring offense in football last year. At the same time, I would much rather start the Rams instead of the Colts. LA has acquired Sammy Watkins and drafted Cooper Kupp to bolster their offense. The Colts on the other hand are without Andrew Luck on offense and Vontae Davis on defense. If you want to start one of these D/ST, make it the Rams and not the Colts. Last year the Falcons scored just over 34 points per game. That was probably a one season aberration, but the Falcons are very talented offensively. At the same time, Chicago ranked 23rd in the league in scoring defense last season. This profiles as a high scoring game for the Atlanta offense. The Bears were 26th in rush yards per game but 7th in pass yards per game. In addition to not starting the Bears defense, feel free to roll out Devonta Freeman at running back. Those are some of the best and worst matchups for week 1 of the fantasy football season. Come back often for daily original content and check back before week 2 for more matchup analysis. Be sure to check out our waiver wire picks if your team could use a tweak. As always, follow us on Twitter for more information and analysis: @_knuckleheads and @brendancole16.